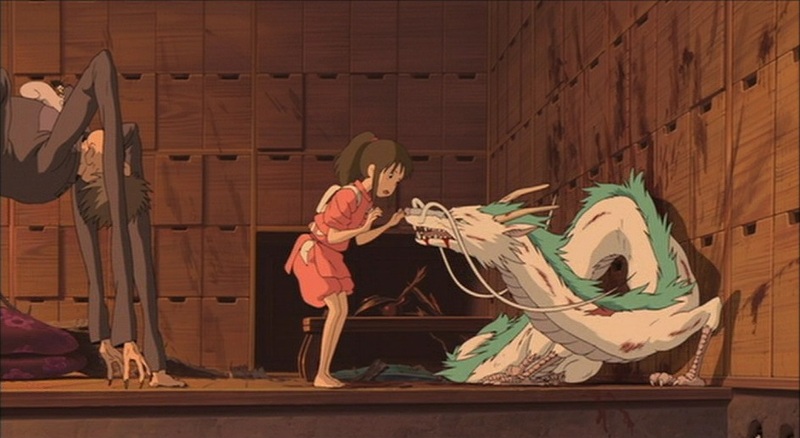 Spirited Away is, without question, one of the most well-known anime ever created. But there's significance in places where most viewers may not be looking. When it comes to Spirited Away, the numbers tell a staggering story. It remains to this day the highest-grossing film in Japanese history at ¥30.4 billion (beating out Titanic). It grossed about $330 million worldwide, making it not just the most financially successful anime ever, but the most successful Japanese film of any kind. The story of this classic cannot be told simply with numbers, however. It's regarded by many as the greatest film of Miyazaki Hayao's career (an honor for which I believe Princess Mononoke just noses it out) and it's the only anime ever to win the Academy Award for Best Animated Feature. Simply put, to many Westerners Sen to Chihiro no Kamikakushi is anime. For some, it was the "gateway drug" that turned them into anime fans, and for others it remains the only anime to penetrate their consciousness. For adults and children, Japanese and Westerners alike, this is one of the most beloved films of all-time. 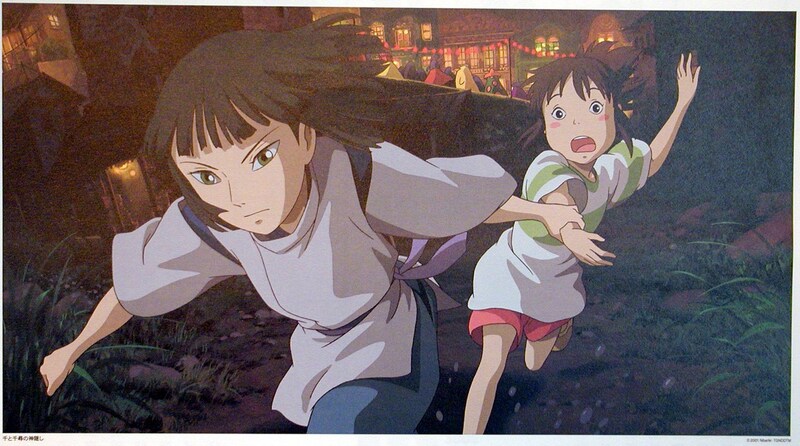 This article contains minor spoilers for Spirited Away. Read at your own risk. 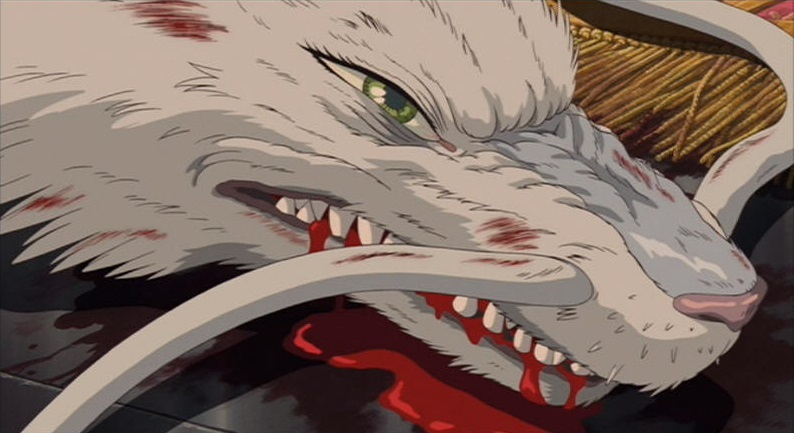 There are many aspects of Spirited Away that merit an article in their own right (I wrote about the amazing architecture here), but I want to talk a bit about the character Haku, the Dragon. 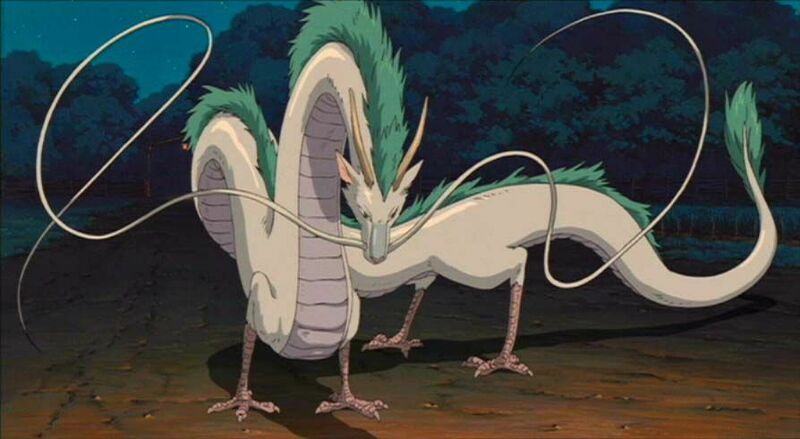 He doesn't get as much attention as Chihiro (it's her name in the Japanese title, after all) but in many ways I think Spirited Away is actually Haku's story. The first thing I'd note is that Haku marks the virtual debut (apart from a small appearance in You're Under Arrest) and breakthrough of one of the greatest seiyuu in anime, Irino Miyu. Remarkably Irino was only 12 when filming Spirited Away, but his performance provided the backbone of the movie. 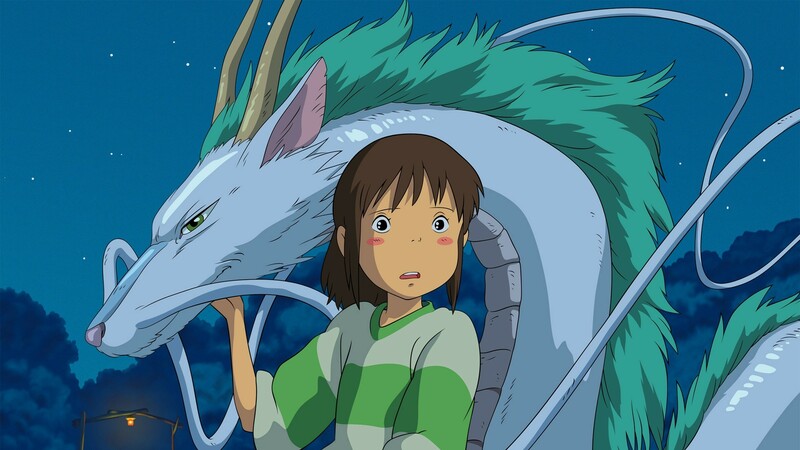 Haku's journey is the heart of the story of the film - he's not the boy he appears to be, but something more elemental and powerful－a dragon, yes, but more even than that. Yet he's also lost, even more so than the heroine. It's his kindness which allows Chihiro to survive her early hours in the spirit world. Kindness being its own reward is the central theme of Sen to Chihiro no Kamikakushi. This is no light-hearted children's film－it can be a very scary story. But it's Haku's kindness which sets that story in motion, the beauty of his dragon form that stands out as a lasting image. 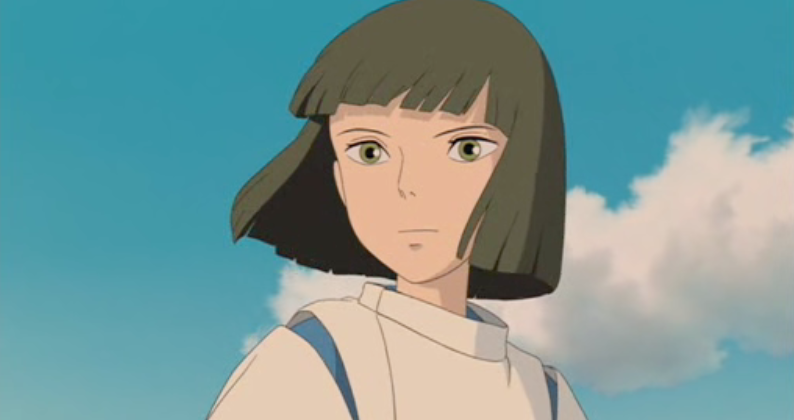 And ultimately, it's Chihiro's love for Haku that drives the resolution of the film. Spirited Away is many things to many people, but what can't be denied is its importance in the history of anime. It accomplished a degree of cultural conquest that no anime before or since has matched. It can be enjoyed on many different levels, but try appoaching it as the story of the dragon spirit at the heart of its story, and you might just appreciate the genius of Miyazaki-sensei (and Irino-san) in a new light. The legendary Bathhouse in Spirited Away is filled with spirits and magic, and it's the main setting of the movie. Enter the Bathhouse and explore this wondrous and enchanting place through this detailed guide. Deconstructing the Monster Genre: What is True Evil? The anime adaption of Naoki Urasawa's manga “Monster”, takes the viewer down a dark path that leads to worst parts of the human heart. This anime sets out to prove that true monsters aren't fantastical creatures of fiction, like vampires or demons, but rather us; human beings. Spirited Away, written and directed by the legendary Hayao Miyazaki, is considered to be one of the most successful Japanese animated films of all time. Here is a look into the cultural references and other unique attributes of this masterful film. Sen to Chihiro no Kamikakushi (Spirited Away) is one of the most successful animated films in Japanese history, praised for its story and art. But what was the source of Hayao Miyazaki's inspiration and what makes this film's art so amazing? Check out this article to find out! The legendary Hayao Miyazaki created an animated masterpiece, Spirited Away, made up of a diverse cast of humans and spirits, all of which have complex backgrounds and personalities. This ultimate guide to the mysterious Spirited Away characters is sure to help you understand them better.